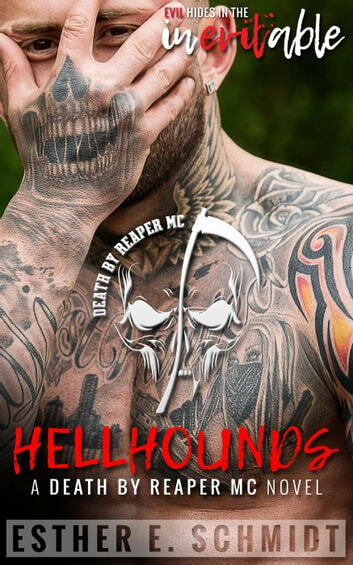 Alistair, Hellhound shifter and President of the Death by Reaper MC Hell Charter, is unexpectedly confronted with his true mate. As the balance of good and evil is shifted, a battle is the only solution. One where family ties are unwillingly being pulled into the mix and a simple choice of sides might end up in losing the woman he just claimed as his. A Hellhound has an eternal vow to never walk out on the losing side. Even more so when he's had a slice of heaven. I found this book pretty ordinary. We meet Eliana who is thrown into a world of paranormals where she meets Death by Reaper MC Hell Charter member Alistair, she becomes his mate and because of that the balance of good and evil is interuppted. There are a lot of different elements to this book and for me, it just didn't work. The wrpping and bw were a little too neat and Eliaana and Alistair's relationship a little too quick and over the top happy for me. Sadly I was a little disappoined by this one! I absolutely loved all the craziness in this book. I can not wait until the next one to see what happens, how both sides are going to work out. Great read, outside of the box and entertaining!! So I went into this book a bit on the fence. On side I was like it's a paranormal and that is not my go to typically and the other with I have loved everything Esther has written. Needless to say I went into this book with a open but hesitant mind frame and I can honestly say that I am so glad that I gave it a chance. Esther did such a great job giving us an interesting story that gives us the background/history as more of a conversational delivery than pages and pages of background that completely bore me. I loved the story line of this book and I found it impossible not to be completely engrossed int the story and sitting on the edge of my seat eager to see how it was all going to play out. I would recommend this book to anyone who loves paranormal book and to those like me that don't normally read these types. I can't wait for the next in the series! Great read. Not sure about the head instead of a tail part but oveelooking that part its an excellent book.